I haven’t read the novels upon which Game of Thrones is based — no trolling, just the truth. But I’m not immune to their appeal. Only the written word can truly traverse terrain this massive or explore internal landscapes so twisted and diverse. As I discussed on a podcast last week with Jason Concepcion, George R.R. Martin has the time and space to take us deep inside the mind of secondary — tertiary? octonary? — characters like Mance Rayder and illuminate the hidden corners of history and psychology that make them tick. All respect due to showrunners David Benioff and D.B. Weiss, as well as actor Ciarán Hinds, but the best they can do is take us inside of Mance’s tents. Game of Thrones is as ambitious and sprawling as TV can possibly get, and yet there are still moments when I sense it chafing against the limitations, financial and otherwise, that are endemic to the medium. I feel, in other words, very much like Tyrion Lannister. Sure, the box I’m in is well appointed and very nice. But sometimes a guy just wants to take a walk. Which is precisely what made “The House of Black and White” such a richly satisfying hour. Yes, it soared mightily over two continents like a wayward dragon, but it still found time to swoop and dive into detail and idiosyncrasy. It was a helpful and reassuring reminder that the small council in charge of the series1 hasn’t forgotten that drawing a giant world is a fine accomplishment, but not nearly as important as drawing a viewer in. The spectacle began in the very first frame. Arya, absent last week, is revealed in full wonderment: face tilted upward, eyes wider than the Wall. Thanks to some nimble CGI, we see what she sees: The Titan of Braavos — easily TV’s most compelling broken, oversize statue since this one — and surely a welcome sight after an untold number of days at sea. But to my mind, there were far more welcome markers lurking just through the statue’s massive thighs. Not just a new city, but an entire world! How wonderful was it, on a show famous for its gruesome deaths, to spend a few moments in a place teeming with life? Michael Slovis’s expert camera panned from floating markets, groaning from the weight of dangling watermelons, to seaside merchants flipping fish fresh from the water directly onto the grill. Smoke and the sound of merry bartering filled the air. It was overwhelming. It was intoxicating. Where’s the bannerman from House Bourdain when you need him most? Though it lasted but a few seconds, Arya’s dreamy detour into parts unknown laid the foundation for all that followed. Everything fantastic and odd — from the claustrophobically cool yin-yang house that gave the episode its title to the return of the face-shifting Jaqen H’ghar — was built on the sturdy back of those precious moments by the harbor. They provided a high-flying show with weight, specificity, and context. For every dozen intestine-slicing reminders that existence in the Seven Kingdoms is brutish and short, it’s important to have at least one glimpse of life worth preserving. I get that Arya must become “no one” for the next part of her journey to begin — whatever that might mean. But I appreciated so much the time spent with her as very much a someone: alone, in the rain, in a distant land with nothing to keep her company but a sword, a coin, a carefully curated kill list, and, eventually, a decapitated pigeon. With certain notable exceptions — Daenerys is now more entrenched in Meereen than that blasted pyramid — Game of Thrones is a series defined by movement. So it’s crucial for it to provide a sense of where we are before careering into where we’re going. Did the return of Jaqen after two seasons away feel a bit fan-servicey? Perhaps. But if none of our blood-caked protagonists can ever get what they want, can’t we? I certainly felt nothing but glee at the sight of Bronn strolling by the lakeside with his highborn lady love. (Or at least lady like. Or lady tolerate. Lady embezzle?) Jerome Flynn’s wisecracking sellsword was one of the many fringey characters I expected to disappear into the ether after everything went sideways for Tyrion at King’s Landing. But here he was, enjoying his spoils and … what’s this? Dropping a bit of positive thinking in the process? “I’ve been all over the world,” he says, between skipping stones, “and if there’s one thing I’ve learned, it’s that meanness comes around.” Really, Bronn? That’s what you’ve learned? It’s not “Don’t trust the incestuous sister of your pint-size, alcoholic employer”? It’s not never follow a Clegane to a second location — especially if that location is a fighting arena? It’s not to always, always lock the door of the privy, even if it’s after hours? A few weeks away from King’s Landing and this onetime mercenary is preaching life advice cribbed from Justin Timberlake. OK, so maybe the high life is causing Bronn’s head to swim. But this is the second week in a row when a smart, funny sideman has suddenly started babbling something that sounds dangerously close to optimism. It’s a peculiar turn of events and one I’m not quite sure how to process. Are characters like Varys and Bronn clever enough to break the cycle of ambition and despair that defines Game of Thrones? Or is the show setting us (and them!) up to be crushed by it? It’s too soon to tell, but I’m awfully curious about whether these air bubbles of hope are part of the show’s new regime. As I’ve written about elsewhere, Benioff and Weiss have now fully wrested the reins of the show from Martin, and these little cracks of light just might be a sign of them steering Thrones not only toward its eventual conclusion but also in the general direction of TV convention, as well. (Audiences always claim to love chaos as much as Littlefinger — until it actually threatens to subsume them.) Or they could be the verbal equivalent of Oberyn Martell waving to the crown in the last seconds of his teeth’s residency in his head. Either way, a road trip with Jaime and Bronn seems like a sparkling idea to me. Why not unite two of the wittiest characters on an extended spring break? It’s the sort of pure-pleasure move that Thrones has denied us for far too long. And it’s indicative of a fresh energy that’s not limited to a single corner of the map. Just one week after their near miss in a meadow, Brienne and Sansa finally crossed paths in a grungy inn. The idea of slippery Littlefinger being approached head-on by the least subtle person alive is a good one, and Brienne didn’t disappoint. (To be honest, it kind of reminded me of this classic scene from Annie Hall. “Hey! We got Sansa Stark over here!”) Regardless of Baelish’s fairly accurate performance review — both of Brienne’s sworn charges are, you know, dead — what struck me most was how old-fashioned her chivalry seemed. Bowing, Brienne offered her life and her sword to a goth teenager who can’t imagine a reason to accept either. Sansa is taking a very Mance Rayder path here, though hopefully with a different ending awaiting her. All she ever wanted was the freedom to make her own mistakes. Besides, the conventional ways of doing things are looking less and less attractive. There were three major story lines this week dealing with the heavy burden of wearing the crown. And none made declaring victory in the titular Game seem all that much fun. In Dorne, Prince Doran Martell — brother to Oberyn, doctor to Odo — is having a perfectly chill afternoon sitting in the warm sun and watching his son pal around with Myrcella Baratheon. Seriously, how beautiful is Dorne? We’ve been there only a short time, but already I’m cursing Oberyn for ever leaving it. The camera lingers lovingly on the citrus trees, the stucco curves, the vibrant tiles. Of course, Doran does appear to be in a wheelchair. But Dorne seems like the kind of place where a man is encouraged to take a load off in the shade! Here, finally, is the part of Westeros I’ve been yearning for, a country straight out of my most torrid Food Network fantasies. The only thing that could ever interrupt such happiness is politics. 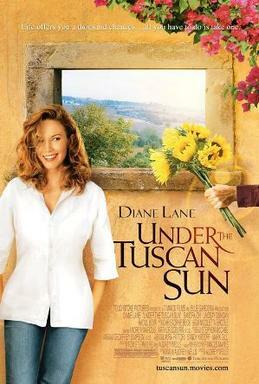 (Or, I suppose, Diane Lane in a button-down.) Ellaria Sand, last seen weeping over the Jackson Pollock painting that used to be her lover, has returned home seeking vengeance for him. “This Lannister girl skips around the water gardens, eating our food, breathing our air,” she seethes. (Myrcella, as I’m sure you remember, was shipped off to Dorne in Season 2 by Tyrion as an attempt to forge an allegiance with House Martell.) “Let me send her to Cersei one finger at a time.” But Doran is not easily swayed by the wisdom of crowds — or concubines. When he is informed that all of Dorne demands blood, he demurs: “We are lucky the whole country does not decide.” Ruling, in other words, requires not being popular but being right. But what to do when being right is the most unpopular decision possible? Though separated by an ocean and what I can only imagine to be some killer olive tapenade — seriously, #DorneLife forever — Doran and Daenerys find themselves in similar straits. As always, though, it’s murkier in Meereen. 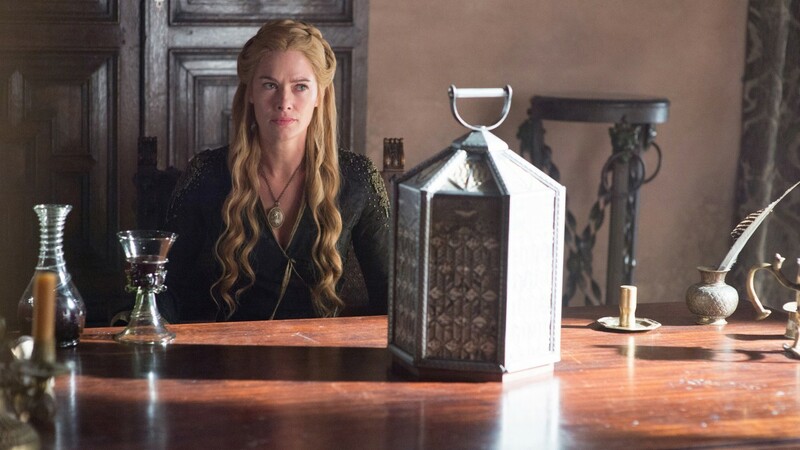 After Daario and Grey Worm capture the pro-slavery “Son of the Harpy,” it’s up to the queen to decide what to do with him. And, as with everything involving Daenerys, the initial action is always far easier than the hand-wringing that follows. After a stirring bit of counsel from Ser Barristan, reminding her of the Targaryen penchant for abusing authority — “The Mad King gave his enemies the justice he thought they deserved. And each time it made him feel powerful and right. Until the very end” — Daenerys decides on upholding the rule of law. The man will get a trial. What follows is ugly and the most explicit parallel yet to America’s own recent struggles with liberation and occupation. A freed slave breaks into the dungeon and crucifies the terrorist. His reasoning is as sound as his actions are barbaric. “I set you free,” he tells Daenerys, “as you did all of us.” But granting a leader freedom from difficult decisions is, itself, a kind of prison. Committed to her path, Daenerys has Daario behead the freed slave in front of the entire city. The assembled crowd of former masters is jubilant. The assembled crowd of former slaves is appalled — the latter’s cries of “Mhysa!” quickly turn into vicious hisses. Soon, the rocks begin flying and Meereen begins to look a lot like Flea Bottom. When Drogon returns at the end for a brief tickle, is it because he appreciates blind justice more than sizzled mutton? Or is it a larger metaphor for the fleeting nature of control? The further Daenerys sinks into this quagmire, the more she begins to resemble all the failed monarchs of Westeros: those who stuck so stubbornly to their convictions and appearances that they died stripped of everything else. Across the Narrow Sea, Jon Snow is experiencing none of these problems. Thanks to his selflessness and bravery, he’s more popular than ever — beloved enough to be elected as the 998th Lord High Commander of the Night’s Watch after a surprise nomination speech by Sam. But Jon’s is the eternal popularity of the outsider. He isn’t a lord; he wears no crown. Until tonight, he possessed no rank at all. Unlike Stannis, he’s never had to learn the value of fear (a virtue that Daario also preaches, half a world away). This is his first taste of power, something even cynical Tyrion admits to finding more seductive than his beloved wine. In the past, Jon wore the disapproval of others as a badge of honor. But now he’s responsible for his fans as well as his enemies. There’s simply no way to make everyone happy. In Westeros, it just might be the case that happiness isn’t possible at all. No wonder Mance took death before dishonor. The only quibble was the order in which they were going to arrive. In those final moments, I found my thoughts returning to Arya’s initial encounter at the House of Black and White — a funny location for a series so shot through with gray. “I have nowhere else to go,” Arya fumed as she realized she wasn’t getting the reception she had imagined. “You have everywhere else to go!” was the reply. And though it was glib, it was also true. Jon could take a hike. Tyrion could go for a walk. Bronn could marry the nicer sister. Daenerys — hell, everyone with half a brain! — could go to Dorne. But they won’t. Making a play in the Game of Thrones isn’t fate — it’s a choice and very often a fatal one. Cersei wasn’t lying when she said “you win or you die.” Yet winners tend to die with the same frequency as losers and often in more horrible and humiliating ways. I guess what I’m saying is: Is it too late to climb back into that box? Can you imagine what this would actually entail? “You’re the Master of Extracting Coins from HBO. You’re the Master of Dirtying Up the Fingernails of Extras.” Etc.